Back in 2013, Olympus Has Fallen introduced us to Mike Banning (Gerard Butler), a secret service agent tasked with protecting the United States President, Benjamin Asher (Aaron Eckhart) during a terrorist attack on the White House. Mike’s years of expertise allows him to almost effortlessly thwart the Korean terrorists plot to execute the U.S. President. If you happen to have seen Olympus Has Fallen, then you probably don’t need to see London Has Fallen. London Has Fallen follows the main beats of the first film except the location and terrorist organization have changed. Talk about dramatic change right (Hard eyeroll)? The film focuses on Mike Banning, once again, called to protect President Asher during a horrific terrorist attack on London in the wake of the British Prime Minister’s untimely death and funeral proceedings. It is sad to say, but London Has Fallen is just another film looking to make more money on what was a moderately successful action thriller. The film wasn’t “bad”, but the material felt recycled. Just based on the information alone you can guess how the film ends. London Has Fallen leans heavily on its explosions and epic firefights and completely disregards any attempt to create a compelling story. It feels as if the studio didn’t even bother to hire a screenwriter. Director Babak Najafi doesn’t have much to his credit. 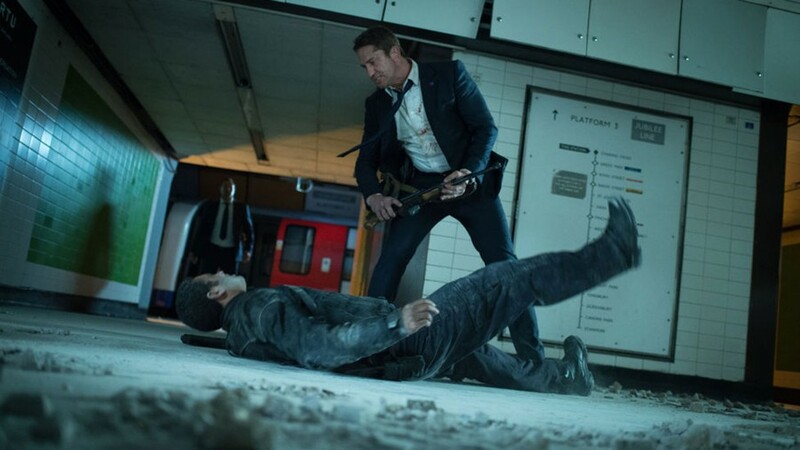 It shows in a fairly bland film that hinges on Gerard Butler’s ability jab a large knife into as many stereotypical Middle Eastern goons as possible. Gerard Butler’s character is nearly invincible; a mistake so many screenwriters are making today. The lack of consequence dilutes the film from any real suspense or thrill. Before even watching London Has Fallen, I understood what would happen at the very end. It felt empty. Drones Are Okay, I Guess? Another aspect of the film that really didn’t work was it’s “America’s So Great” mentality. Without spoiling too much, the film essentially makes a strong political statement in favor of drone strikes that kill innocent civilians. Is that really what we want our legacy to be? Is that really what makes America great? At what cost? It honestly didn’t make much sense. There were plenty of other plot points that didn’t make sense either. 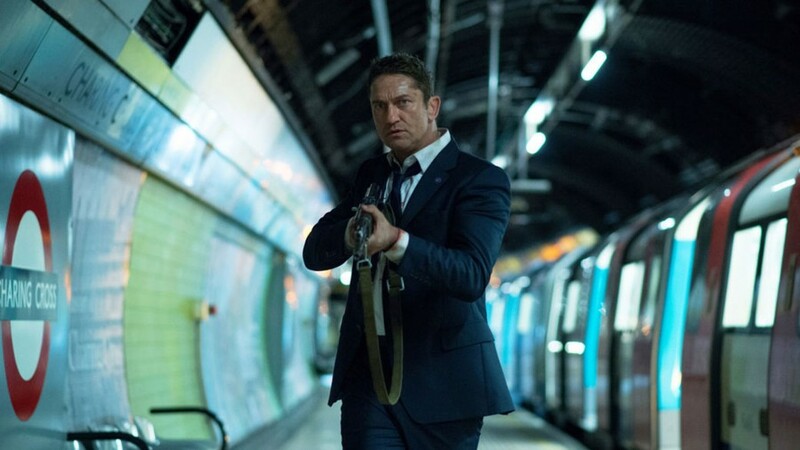 London Has Fallen recycled the cliche “there is a mole” plot line, which is fine if used compellingly. The mole’s reason for his involvement was so shallow and nonsensical. Even Joker from The Dark Knight made a stronger case for blowing up Gotham City than this British twit. It’s this lack of effort that really takes you out of the film. The one thing London Has Fallen has going for it is its strong cast. It stars Morgan Freeman, Gerard Butler, and Aaron Eckhart. Can’t be that bad right? Sadly, even that is thrown out the window for…more explosions? I guess Mr. Najafi went to the Michael Bay School Of Filmmaking. The banter between Gerard Butler and Aaron Eckhart was the strongest element in the film. They were two very down to earth men trapped in a very outrageous situation. The exchanges definitely helped a film that literally feels skeletal in terms of dialogue. If you enjoyed Olympus Has Fallen, you will most likely enjoy London Has Fallen (if you’re into wasting your time twice, that is). It’s filled with action and many famous British landmarks meeting the concrete. Aside from the action, this film is lacking. London Has Fallen is just another “America Rocks”, action-packed cash-grab for anyone willing to give it a try. Seriously though, you aren’t missing much. Save your money for multiple viewings of Batman v. Superman next week. Did you get to see London Has Fallen? What did you think? Let us know below! If you enjoyed Olympus Has Fallen, you will most likely enjoy London Has Fallen (if you’re into wasting your time twice, that is).